Kaiser 6316 Typhoon Blower Bellows . Including Cleaning Brush. 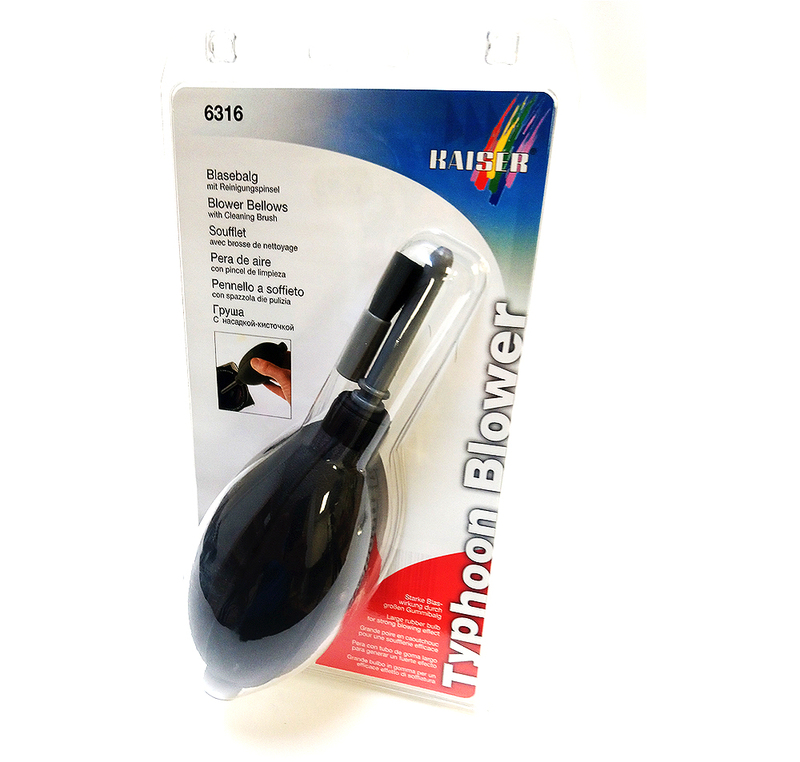 The Kaiser 6316 Typhoon Blower has a large rubber bulb for strong blowing effect. Rugged front air nozzle, rear air duct valve. Easy to handle. Cleaning brush included.